The MD of Provost does not require businesses located in the MD of Provost to obtain a business license. The MD will provide a letter to this effect if required. Any new structures located on a property in relation to a business will require a development permit. Permitted Use Permits – please allow 14 to 21 days for processing. $10 fee. Discretionary Use Permits – please allow 4 to 5 weeks for processing. $35 fee. Palliser Regional Municipal Services is contracted as the MD of Provost’s subdivision authority. 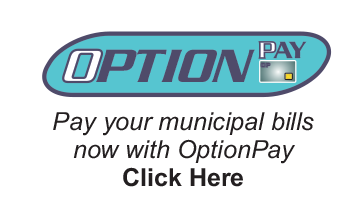 All completed applications are submitted to Palliser Regional Municipal Services. Information regarding the subdivision process and costs can be found on Palliser’s website at www.palliserservices.ca. All subdivision applications are referred to the MD of Provost for approval. Ratepayers may contact the Development Officer at the MD of Provost for general information on subdivisions. Effective August 4th, 2009, all Building, Gas, Electrical and Plumbing permits will be obtained through Superior Safety Codes, which agency will be exclusively providing all Safety Codes services within the MD of Provost No. 52. The agency’s Red Deer office may be reached at 1-888-358-5545 for more information, or the agency’s website may be referenced at www.superiorsafetycodes.com. Section 4(1)(I)(iii) part of a highway or public road that is under construction. Notification: Notification is required for work within the MD. Companies are also required to notify the province respecting any crew moves. Section 28 outlines how and when notification is given. Right to Enter on leased or closed roadway: Section 5(1), 5(3)(a) & 5(5) attempt to negotiate and failing that, give notice of not less than 48 hours prior to the commencement of the program. Outlines what the notice shall state. Clearing of Vegetation on Road Allowances: Section 45(1) outlines how vegetation is cleared on road allowances. Clean up of Debris: Section 46 indicates that debris shall be cleaned up and within a period that is acceptable to the Minister. Outlines what can be done on the traveled portion, Shoulder or slope of shoulder with regards to drilling of shot holes or operating an energy source. It allows, with consent, that an energy source can be operated in this area. Drilling of holes, with or without consent, is not permitted in this same area. There is no restriction on drilling or operating an energy source in the ditch or back slope and consent is not required. Upon Completion of any project, an actual inspection of any road used will be done prior to signing off the company.